Usually people feel tired and do not really grasp the meaning of behind a statistical report, because the number is usually very big, and people cannot go through a list of very big numbers. In Miniature Earth, this issue is, can I say, “solved”, because we simplified the number to 100. With that, people can imagine more clearly about numbers presented to them, what the number means. There is no need for people being overwhelmed by numbers, and by that, people can really see the various issue in real world. It shows the reality of the world that we live on, the harsh part of our reality. It also shows people that we live in a divergent world. There are more people in this world, with different aspect of life other than “ours”. The idea originated in the publication titled “State of The Village Report” written by Donella Meadows on May 29, 1990. Before, the world was being imagined as filled by 1000 people, still a very big number for people to grasp, but after that, people simplify it to 100, made so many version of it, the text and the video and uploaded their video. I have seen a few of them, and there are many that made me touched and thinking more about our world and its issues. 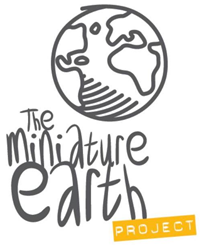 In the end, yes, after I saw other videos and made this project, Miniature Earth made me think more about these issues and how to overcome them. I know that there is a gap between educated and uneducated, The “have” and the unfortunate, but after seeing the number, the gap is actually very big. The same with the Food Force game, there are some issues that actually can be understood by laymen but can’t because people usually think the issue was too hard to think for them. With the same notion, It is also can be used not only for us adult but also for kids as the future generation to realize our earth and its problem. For this Miniature Earth Project, we’re supposed to make a video with the narration. (It’s uploaded in my friend’s channel). I’m rather proud of the concept, something I wanted to do since long time ago. By the way, there’s a glimpse (or more) of me in the video ahahah. Posted on October 13, 2011, in Making and tagged creating, Daejeon, design, Future of Asia, ky's exchange, miniature earth, video. Bookmark the permalink. Leave a comment.